The largest city in New Zealand is a vibrant and thriving metropolis. Sprawling and diverse, Auckland is a city attractions to experience, restaurants to sample, boutiques to shop and places to stay. 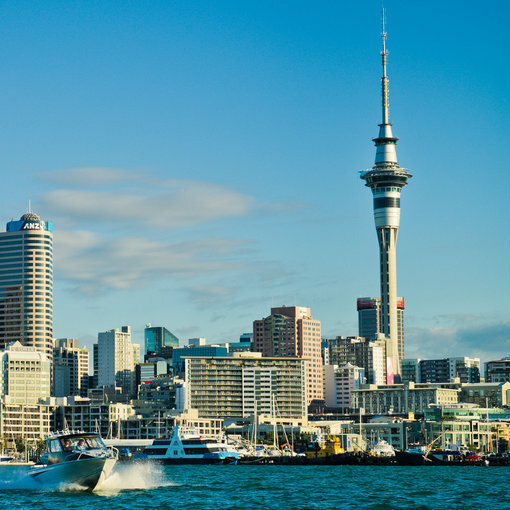 In addition to being a tourist destination in itself, Auckland is the gateway to New Zealand, with the country’s most important international airport and air connections to practically all Kiwi cities. Auckland is an huge city. To give you an idea, Auckland, with a population of about 1.6 million, is larger in area than the city of Madrid or the State of Berlin, both places with more than double the population. And that’s because Auckland is a city with a very low urban profile. With the exception of the Central Business District (CBD), it is difficult to see buildings of more than a couple of storeys in town. Apart from it being a sprawling development of neverending suburbs, public transport options in Auckland are very limited; there is an urban train system in the city, but it is not at all comprehensive and only reaches a few of the districts. Most of the public transport is then reduced to buses. For these two reasons, it is of vital importance to choose the best area to stay in Auckland. 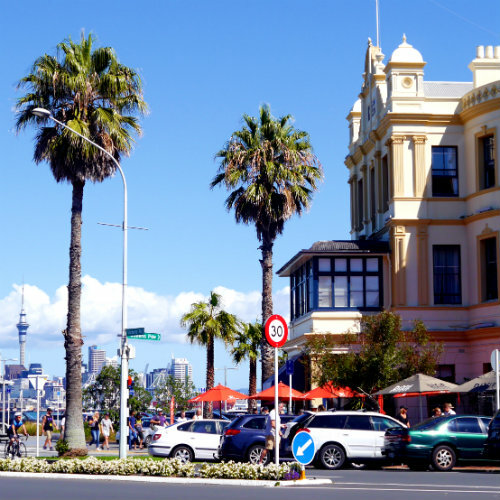 To help you decide the best Auckland disrict to stay, we have created this list with the best areas and suburbs in the city. Located between Waitemata Harbour and Auckland CBD, Britomart is a seaside neighborhood that concentrates a lot of the city’s heritage buildings, converted areas and open public spaces. It is right next to Auckland’s main transportation hub, Britomart Transport Center and the ferry and cruise port. It is also the termini for the Skybus service from the airport. This area is considered the first commercial centre of Auckland and concentrates the majority of old buildings of the city. After a long period of neglect in the 80’s and 90’s, Britomart has been reborn to become a very fashionable district. Today Britomart is a busy and diverse mix of restaurants, bars, boutiques, offices and shops. 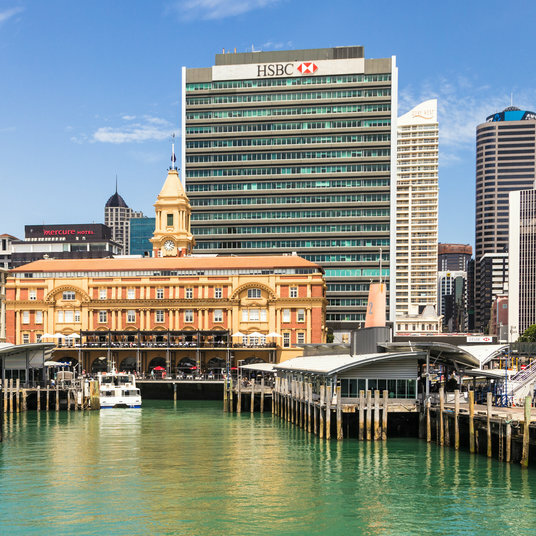 Although there are some budget options and hostels, hotels in the Britomart area are usually quite expensive; However, this certainly the best area to stay in Auckland because of its public transport and ferry connections. Stamford Plaza Auckland, only a 5-minute walk from the Viaduct Harbour area, it features 4 restaurants, a whirlpool and a fitness center with stunning harbour and city views.- from NZD 229. JUCY Snooze offers budget accommodation in Auckland’s business district, less than a 10-minute walk from Vector Arena and Auckland’s Boardwalk. The property offers a tour desk and 24-hour reception. – from NZD 49 .
ibis budget Auckland Central is centrally located hotel in Auckland’s financial district and offers modern accommodation with kitchenette, bathroom and balcony. Free Wi-Fi is available throughout the property. – from NZD 99 . Grand Mercure Auckland offers 207 rooms and a specific venue for events and conferences, it is located in Auckland’s harbour district, overlooking Viaduct Harbor and surrounded by luxury boutiques and superb restaurants. – from NZD 219 . The real heart of Auckland is the CBD or Central Business District. With Queen Street as its main thoroughfare. The CBD enjoys a prime location with a wealth of shops, restaurants, pubs and cafés for every taste and budget. It is an area of lively nightlife and entertainment, with some of the best theatres in the city hosting major international shows and local plays, as well as a myriad of live music venues, particularly around Karangahape Road (known by locals simply as K’Road). This central district also boasts the Sky City complex and the iconic Sky Tower of Auckland, a true symbol of the city. It is a somewhat aseptic area with lots of tall office towers, but it has some charming corners and it is very well connected by public transport. 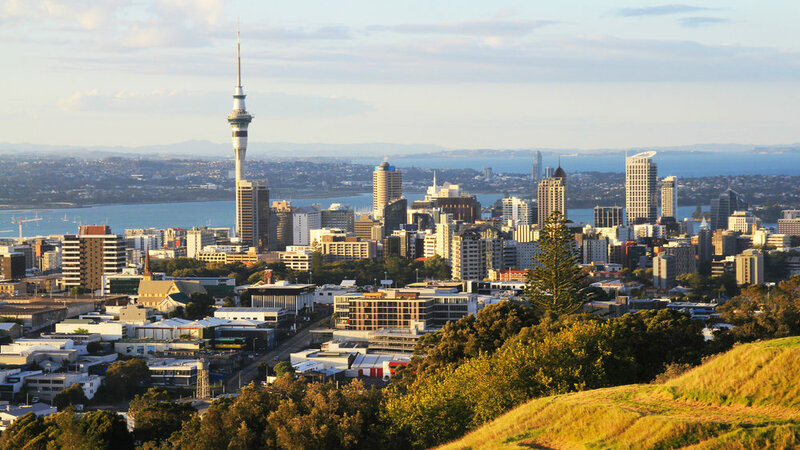 It is also the area with more accommodation options of in Auckland, with properties to suit every budget, from backpacker hostels, to super luxury hotels. Needless to say, the CBD is a great area to stay in Auckland for business travellers and visitors alike. Stamford Plaza Auckland, only a 5-minute walk from the Viaduct Harbour area, features 4 restaurants, a whirlpool and a fitness center with stunning harbour and city views. – from NZD 229. Kiwi International Hotel offers affordable and quality accommodation in the heart of Auckland CBD (Central Business District) and features a restaurant and bar with pool table as well as an internet café. – from NZD 56 . 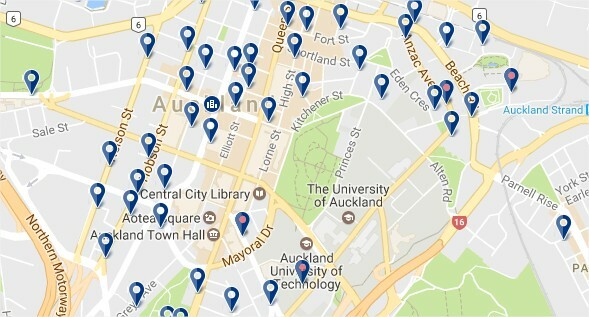 Ascotia off Queen is located in Auckland’s city centre and a 2-minute walk from Myers Park. This guest house offers modern rooms and a café. – from NZD 122 . Scenic Hotel Auckland offers comfortable accommodation in Auckland’s central Queen Street and just a 10-minute walk from the Sky Tower. There is free WiFi. It is within walking distance of the Viaduct and The Edge Convention Center. – from NZD 154 . Viaduct Harbour is one of the most happening areas in all of Auckland. 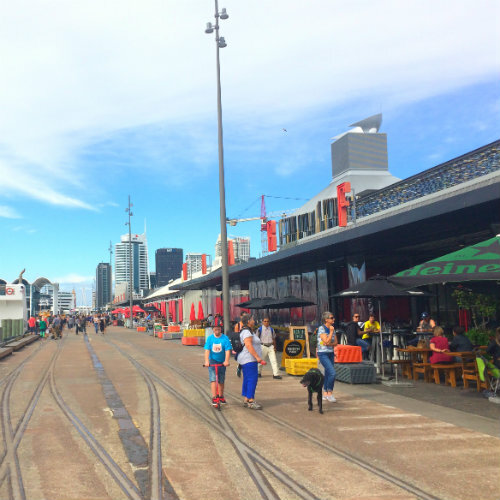 Located in the heart of Auckland City, next to CBD and Britomart, Viaduct Harbor is a renovated area of the old port of Auckland. Full of life during the day and night, Viaduct Harbour is Auckland’s connection with the ocean. The nearby Viaduct Harbour Marina caters for leisure boats, super yachts and commercial ships, so it is not exactly the cheapest area to stay in Auckland. In this coastal district you can find some attractions such as the Voyager Maritime Museum. The promenade boasts a wealth of trendy pubs and restaurants. Hotels in Viaduct Harbour normally belong to luxury chains with some boutique style options and lots of apartments and holiday rentals. Its closeness to the ferry terminal and Britomart metro station make Viaduct Harbour a great choice to stay in Auckland. Vibrant Viaduct Harbour is located in Auckland, 500 meters from Sky Tower and 500 meters from Viaduct Harbor. The SKYCITY Auckland Convention Centre is an 8-minute walk away. – from NZD 150. Hilton Auckland, renovated in 2016, offers stylish rooms and suites at the end of Princes Wharf. It features the FISH Deluxe Restaurant, an outdoor pool and indoor fitness facilities. – from NZD 369 . 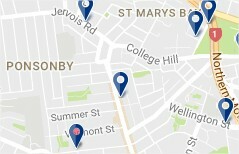 Located just south of the CBD and the wealthy Parnell district, Newmarket is one of the top districts to find accoommodation in Auckland. Certainly one of the best areas to stay in the City of Sails, Newmarket is the commercial and shopping heart of the city. 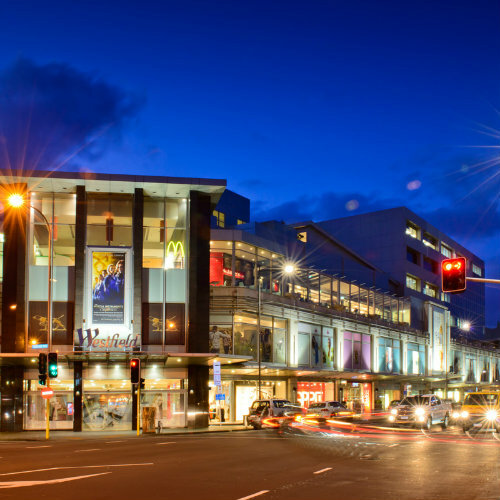 With some of Auckland’s most important shopping streets and a variety of shopping centers, restaurants, shops and cinemas, Newmarket is a place where you won’t be bored. The area is also very well connected with the rest of the city through its new urban train station and bus. 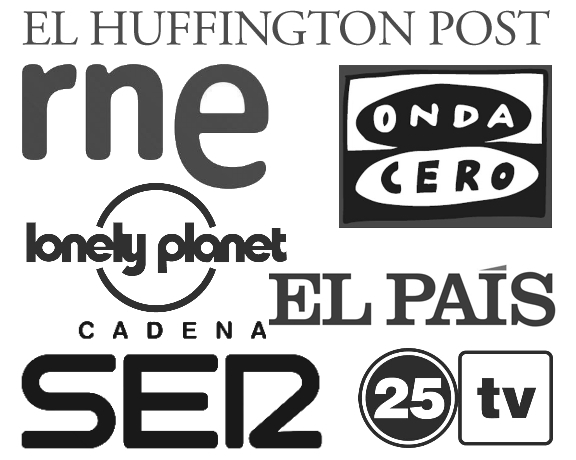 It is a great choice for business travellers and tourists alike. Room prices in this area are often above the Auckland average and hotels tend to be modern and business-style, but some motels and budget options are available as well. Alpers Lodge & Conference Centre is located in Auckland, 500 meters from Sky Tower and 500 meters from Viaduct Harbor. The SKYCITY Auckland Convention Centre is an 8-minute walk away. – from NZD 150. Quest Newmarket Serviced Apartments offers modern apartments with hotel services, a kitchenette and satellite TV, just a 5-minute drive from Auckland Hospital, in one of the best areas to stay in Auckland. Free Wi-Fi is available. – from NZD 249 . Auckland North Shore was considered, until recently, a separate city of Auckland. This large district is located north of the city, across the Harbor Bridge and has a more suburban and laid back character, with spacious gardened houses and not many tall buildings. It is one of the best areas to stay in Auckland if you are after sun and relaxation, as there are many beaches here. 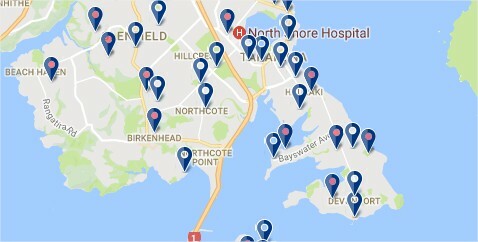 The most recommended areas within North Shore are Devonport and Takapuna , since they boast the majority of options leisure, nightlife and shopping options. The area is connected by an express bus system and from Devonport it is possible to travel to Britomart by ferry. There is no rail connection to North Shore, so the area is more advisable for those who have their own transportation. 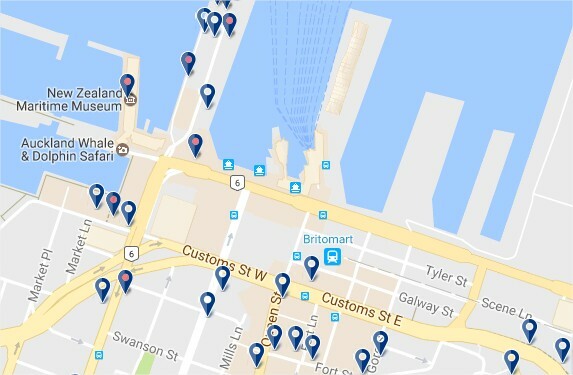 There are a lot of hotels in this area and their profile varies in quality and price, but the accommodation here is usually cheaper than in downtown Auckland. The Esplanade Hotel is located a 1-minute walk from the beach. Built in 1903, The Esplanade Hotel is located on the waterfront in the centre of Devonport. It is just a 10-minute drive from Takapuna Beach and offers free Wi-Fi. – from NZD 176.
iHoliday is a holiday home a 10-minute walk from Takapuna Beach and 5 km from Auckland Harbor Bridge. Free private parking is available on site. Free Wi-Fi is available throughout the property. – from NZD 69 . Parnell is probably Auckland’s most exclusive district. It is considered the oldest suburb of Auckland, dating from the early days of the European settlement of Auckland in 1841. It is characterized by its blend of tree-lined streets with large stately homes, Edwardian-style townhouses and art-deco villas dating back to the the 1920s. Its hilly topography allows great views over the Waitemata Port. Parnell Rise and Parnell Road make up the main arteries of this affluent district. This area is home to upmarket shops, art galleries and some of Auckland’s most luxurious restaurants. Even though most of Parnell is made up of exclusive residential and retail developments, some budget hotels are to be found in this area. Quality Hotel Parnell is a 9-minute walk from the beach. 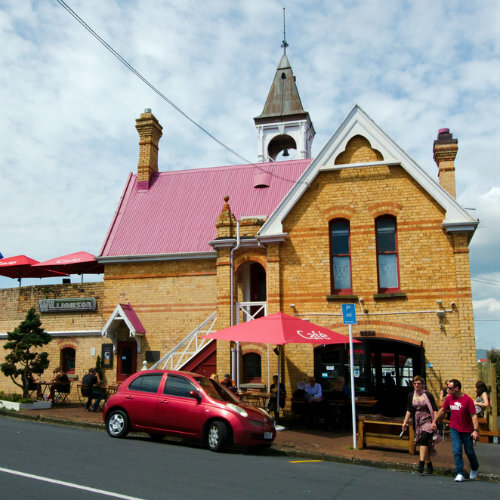 Quality Hotel Parnell is situated on 1 hectare of grounds in the Parnell district of Auckland and features a restaurant, bar and children’s playground. Free parking is available on site. – from NZD 139. Parnell Pines Hotel is located in the centre of Auckland’s historic Parnell area, close to the Auckland War Memorial Museum. 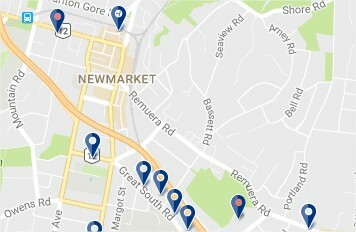 It is a 5-minute drive from Dove-Myer Robinson Park and 2 km from Newmarket’s shops. – from NZD 119 . The best neighborhood to enjoy Auckland if you are young is definitely Ponsonby. 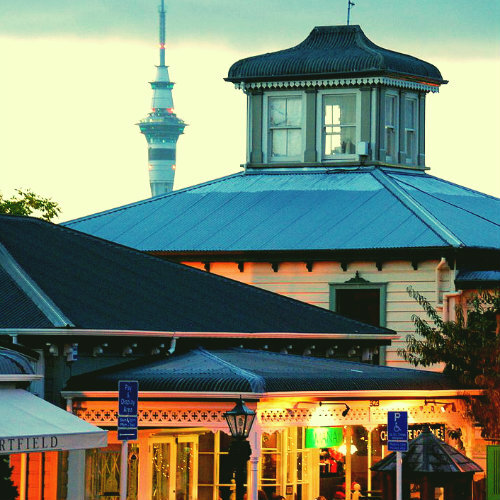 Located in an upscale area west of the CBD, Ponsonby is Auckland’s liveliest and most vibrant neighborhood. With a hipster, bohemian and relaxed atmosphere, Ponsonby is full of charming boutiques, trendy cafes, bars and restaurants, all just 10 minutes from the city centre. This area is famous for its sophisticated shops and restaurants and for having the best nightlife in the city. Bars, nightclubs and concert halls in a youthful and vibrant atmosphere. The area is connected to the city centre by bus. The CBD is a 20-minute walk away. There are only a few hotels in Ponsonby, but it is well worth staying here. 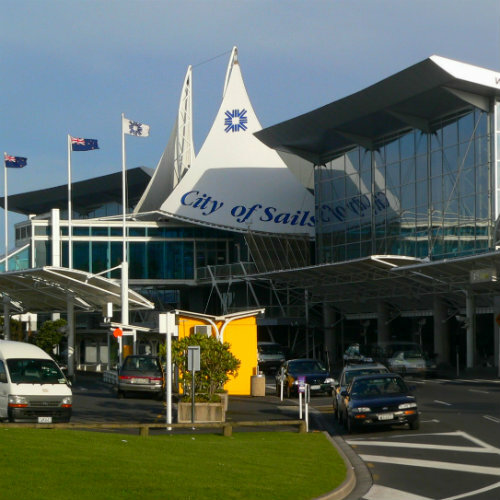 Auckland International Airport (abbreviated AKL) is the largest and busiest airport in New Zealand. It is located near Mangere, a residential suburb, and Airport Oaks, a service area 21 kilometers south of the city centre. It is the domestic and international hub of Air New Zealand, Virgin Australia and Jetstar Airways. 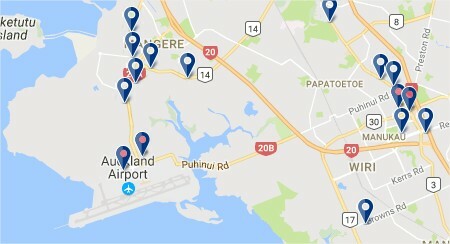 If you are in Auckland for a mere stopover or if you want to stay near the airport during your last night, the best thing to do is spend the night at an airport hotel. If you do not need to be near the airport and want to visit the city, it is best to look for accommodation in a more central district.